If you’re looking for a velvety, farmhouse-inspired finish for your furniture, consider using milk paint. This non-toxic and environmentally-friendly paint is made from organic materials (the main ingredients are milk/quark and lime). It has no odor or VOCs, and is water-based. 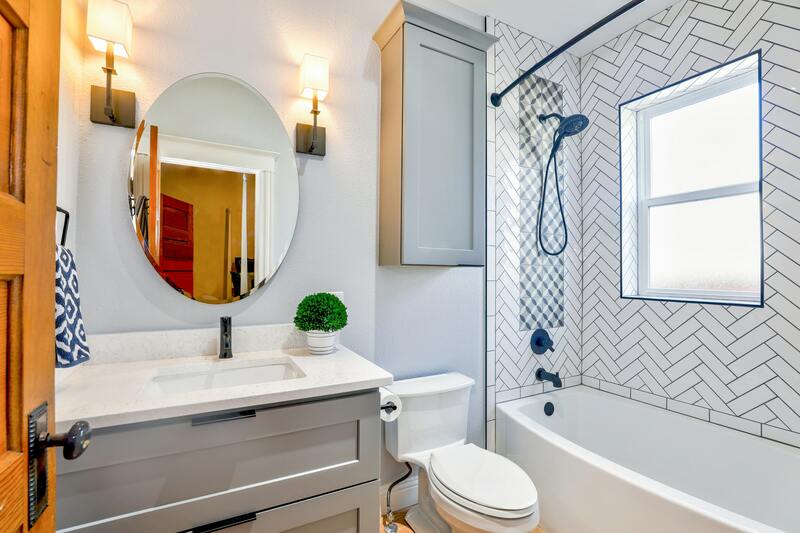 It doesn’t come in a huge range of colors like regular latex paint, but there are options ranging from one side of the rainbow to the next and pigments can be mixed. You just need to be really consistent in your measuring or one batch will be a different color from the other. Milk paint does take some prep work. There are videos online that show how to make it from the bottom up, or you can buy premade ingredients, like pigment powder or binders that help it adhere to latex. It’s recommended that you prepare the paint in small batches, because it is milk-based and will expire in a day or so. Unlike other paints, milk paint soaks into wood, rather than creating a thin layer. It is hard wearing and can be applied in a few hours by brush, roller, or sprayer. It doesn’t chip, but will scratch, and it requires a binder if you don’t want the distressed look. There are also glazes, crackles, creams, and pastes that you can buy to create specific finishes. The surface to be painted does not require sanding, unless it’s uneven or rough. 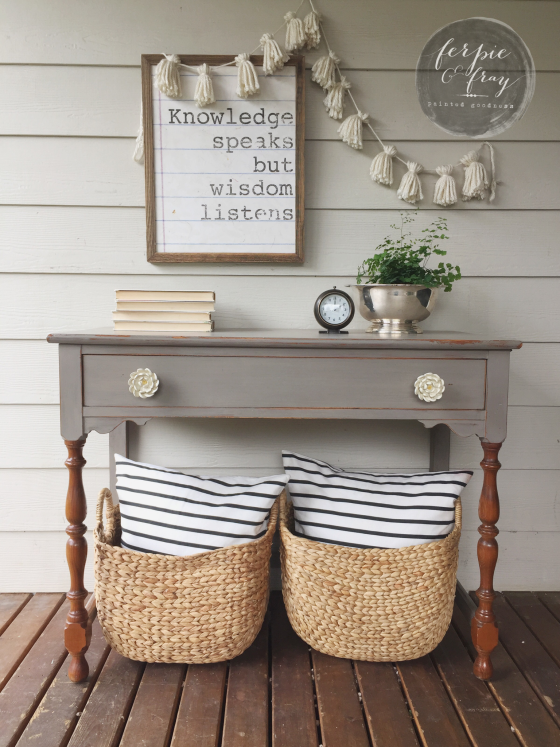 Milk paint works great with raw wood and surfaces already covered with milk paint, but you will see below that it works well on other surfaces too. As stated before, a binder is required to keep the original velvety finish, because the paint will distress over time. 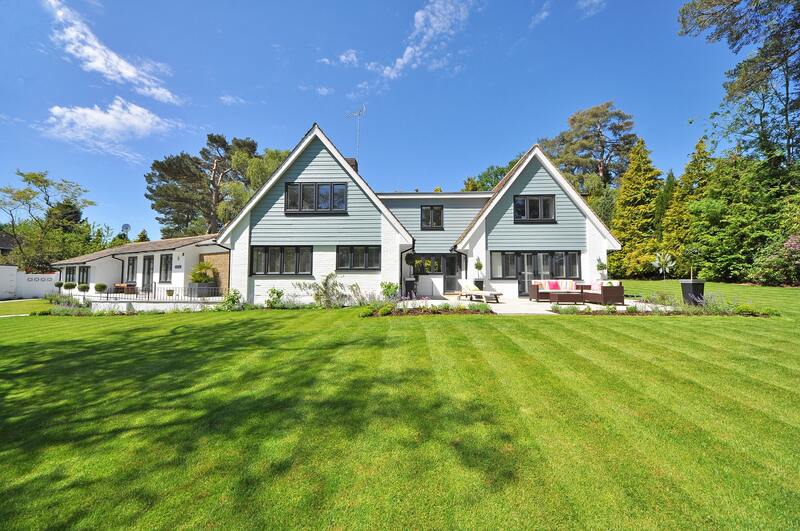 If the distressed look is what you want, good news – it only looks better with age! You may notice that milk paint looks like chalk paint, but there are some differences. First, not all chalk paint is non-toxic. It depends on the supplier. 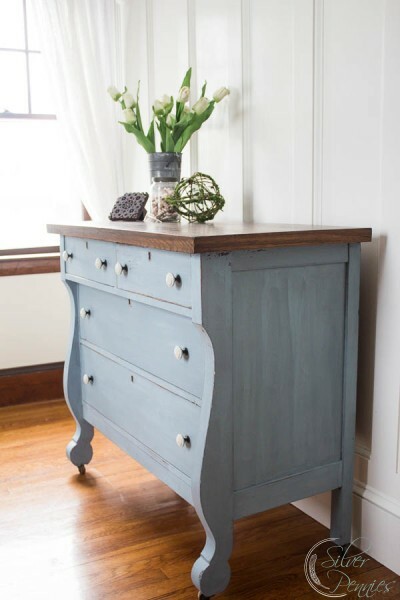 Second, chalk paint is thicker and doesn’t require premixing, so it has more texture and color consistency. Third, there’s less flaking with chalk paint, but milk paint is better if you want the chipped look. Chalk paint can be distressed, but it requires more work than milk paint. Finally, chalk paint is more expensive. 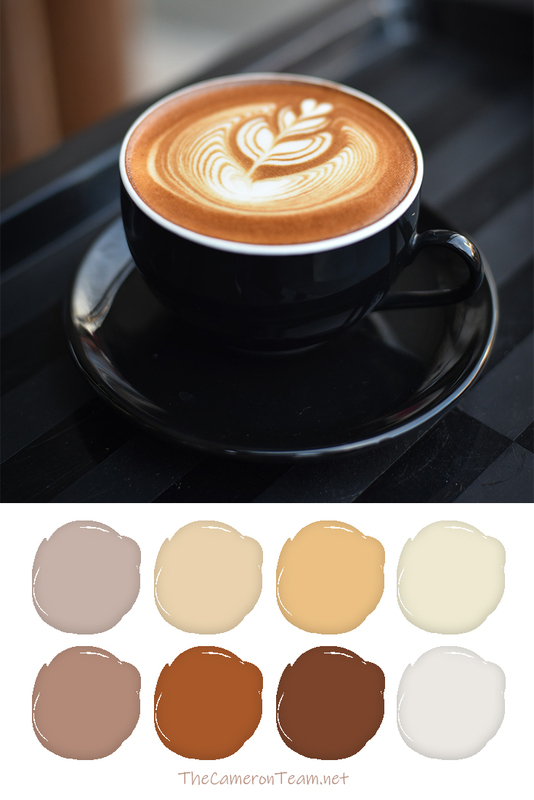 If you’re interested in using milk paint, we’ve rounded up some great furniture examples below. Many of the sources have instructions on how the piece was painted, so make sure you check them out. Then, let us know in the comments which one is your favorite. Brooke from Start at Home found a couple of old metal ammo boxes at a war surplus store. 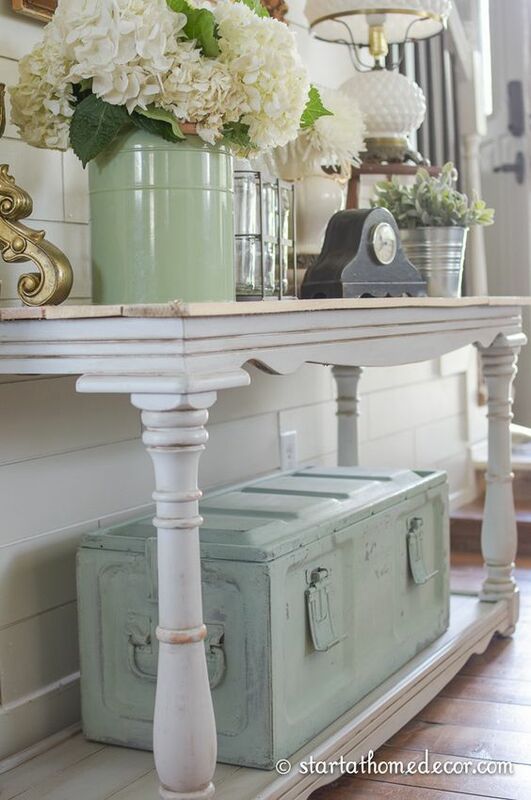 She used Sweet Pickins Sweetie Jane Milk Paint on one and made it into the perfect box for her entryway table. 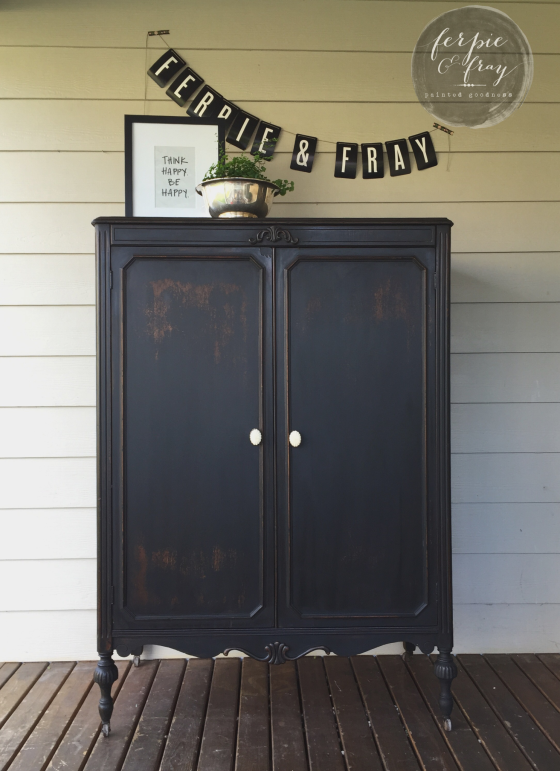 Amanda from Ferpie and Fray used Pitch Black from Old Fashioned Milk Paint Company to makeover this armoire. Here’s another piece from Amanda at Ferpie and Fray. 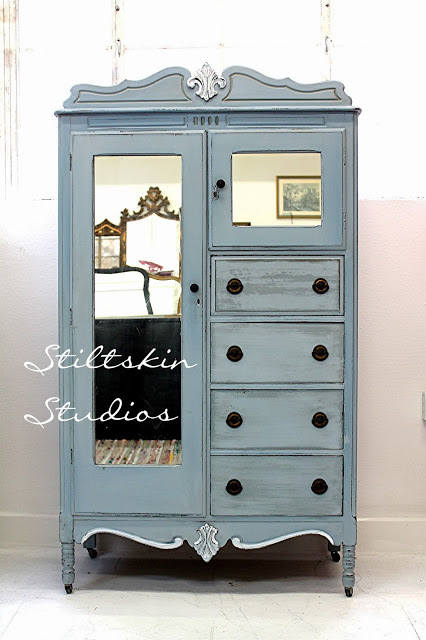 This one was refinished with Driftwood and Light Cream from Old Fashioned Milk Paint Company. 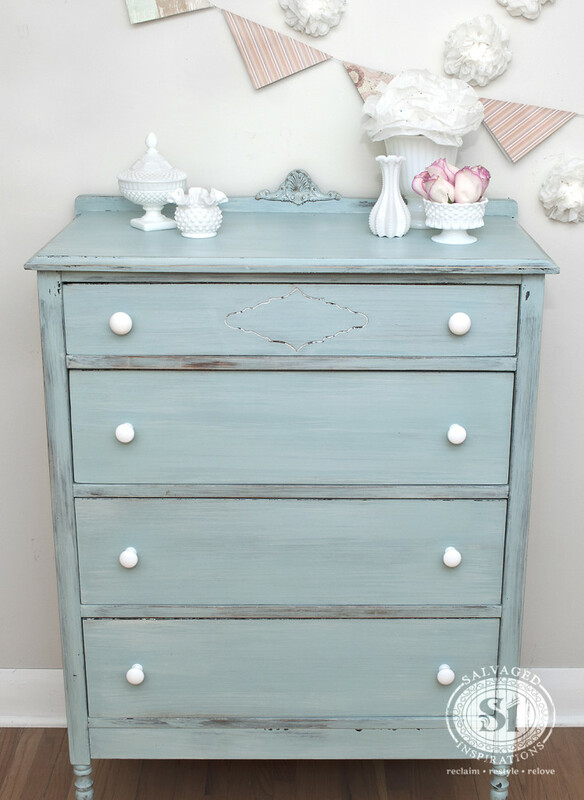 Darrielle from DD’s Cottage & Design made over this vintage dresser with a custom mix of pigments from Miss Mustard Seed. She used Flow Blue, Ironstone and Lucketts Green to make this unique aqua color. 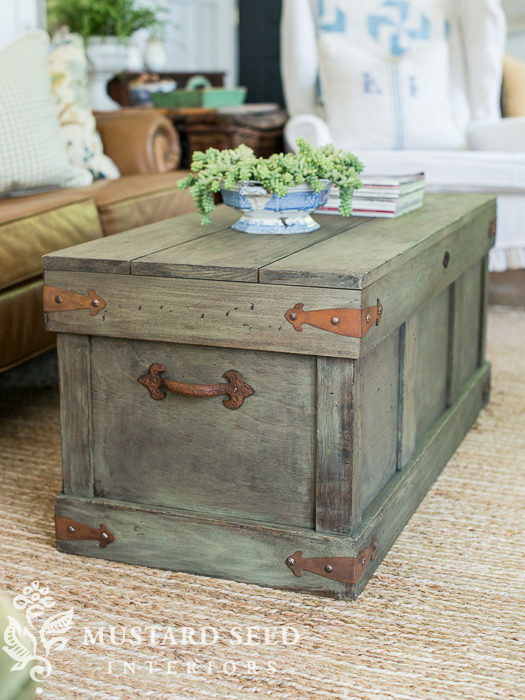 Marian at Miss Mustard Seed made a replica of a Pottery Barn trunk by combining Lucketts Green from her own line of milk paint with a Dark Walnut stain and Antiquing Wax. 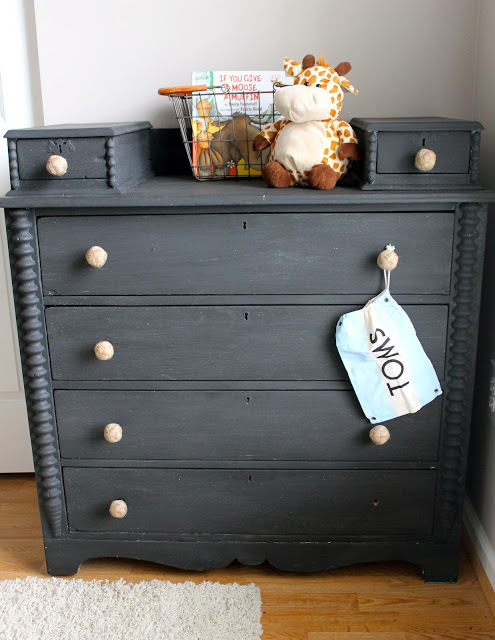 Rachel at D’Bohemia used Miss Mustard Seed’s Typerwriter Milk Paint to makeover this dresser for her son’s room. It originally had blue latex paint on it that she did not strip before applying the milk paint. 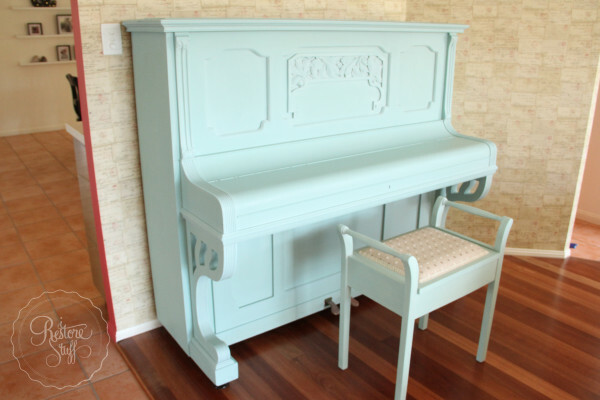 Sharon at i Restore Stuff painted this upright piano with Miss Mustard Seed’s Eulalie’s Sky Milk Paint. 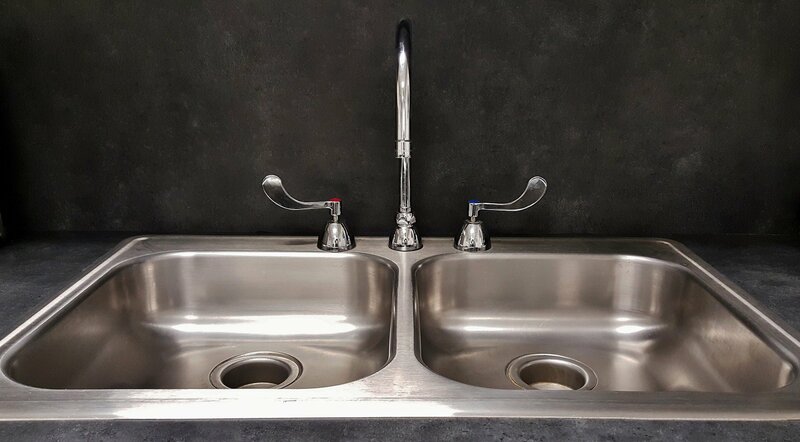 This is a great blog post to check out, because Sharon took lots of pictures, so you can see how the paint looks layer by layer. 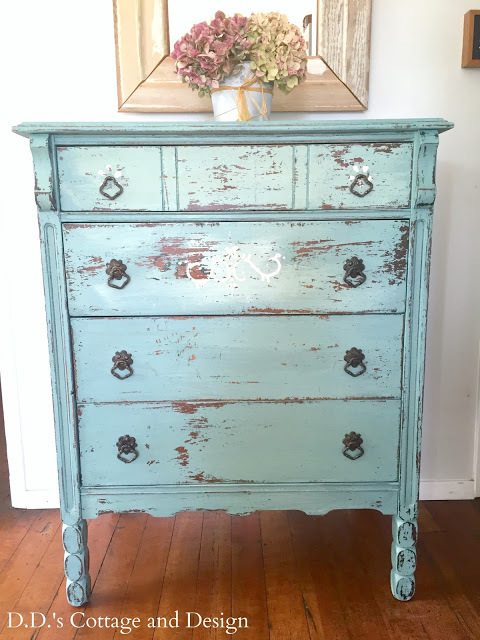 Denise at Salvaged Inspirations made over this Craigslist find with Miss Mustard Seed’s Eulalie’s Sky and Grain Sack Milk Paint; so, you can compare the different uses of the same color with #8 on our list. Danielle from Silver Pennies used Miss Mustard Seed’s Bergere Milk Paint to make over this dresser she bought at a yard sale. She stripped and stained the top, but just used a bonding agent to apply the milk paint to the rest of it. As a bonus, if you’re wondering how milk paint adheres to glass, check out this post from Sue ay My Painted Door. 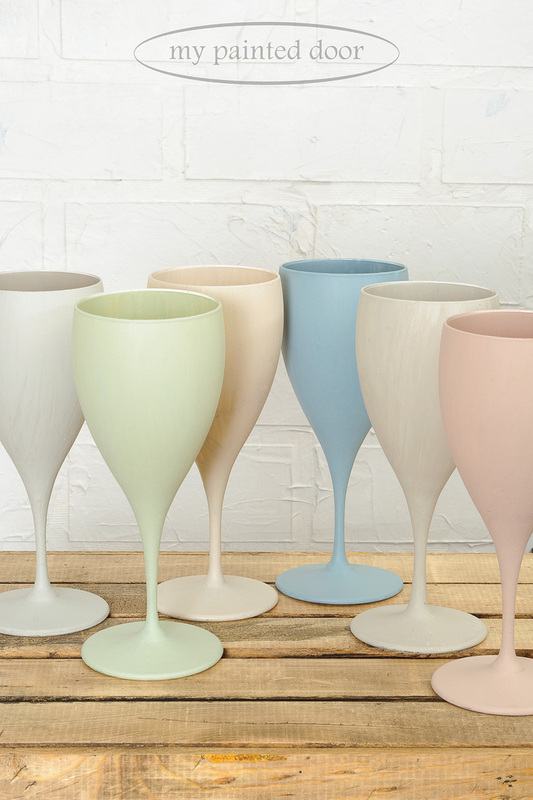 Not only does she show how she painted these wine glasses, but she also shows what happens when you don’t use the correct bonding agent. 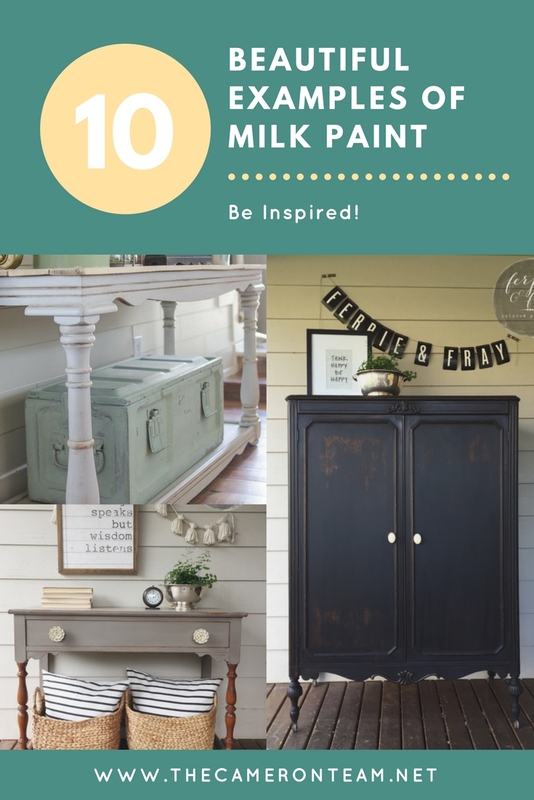 If you have a great milk paint blog post, we welcome you to share it in the comments.